We started hiking from the ... trailhead at 7:30 AM. It took me 2:28:50 to get to the top. Then I spent 24:54 on the summit. The descent took 1:55:49. 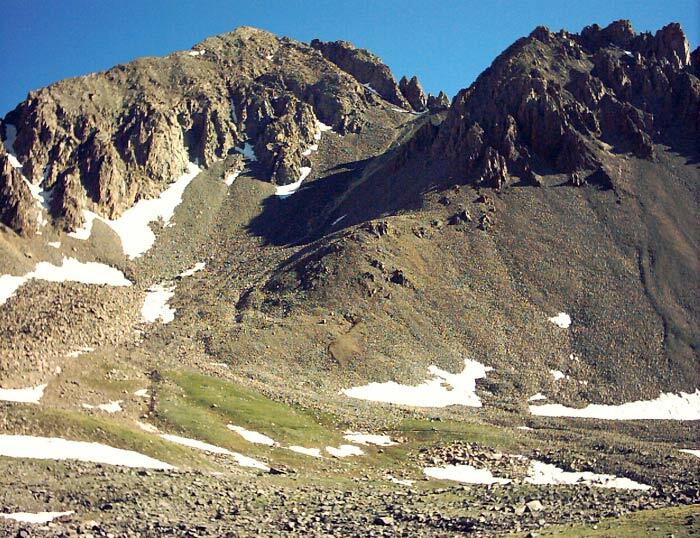 The thousand foot descent of scree from the saddle (13,500 ft) took only 10 minutes! Total distance was 7.0 miles. Total time was 4:49:36.